Note - I Am Check Your Name In My UC News Invitation List For Verification.Then Select 15 Peoples Refer Code. How To Get Rs. 3000 Sign up And Upto 5000 Paytm Cash On Referring From UC News ? 2. Open App & Go To Me Section. 3. Click On Win 5000 Banner. 5. Now You Will Win Upto Rs 2500 Free By Entering Our Refer Code. 6. And Also Get Be Eligible For Refer And Earn. 7. Now You Need To Reach Rs 5000 Completely To Win Cash Amount In Bank. 8. Refer Friends & Every Refer Pay You Some Cash. 9. 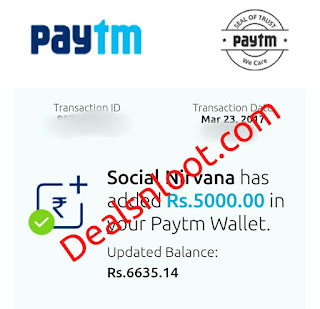 In This Way When You Reach Rs 5000 You Can Redeem It Easily. 1. Now Share Your Refer Code With Friends. 4. You Can Redeem Your Earnings When You Reach Minimum Rs 5000. 1. Unlimited Winners Should Be Get Rs 5000 As Reward. 2. One Winner Can Win Only 1 Time. 3. All The Winners Who Reach Rs 5000 Can Withdraw Their Amount As Bank Cash. 4. Uc Hold Right To Change Any T&C Without Any Prior Notice. 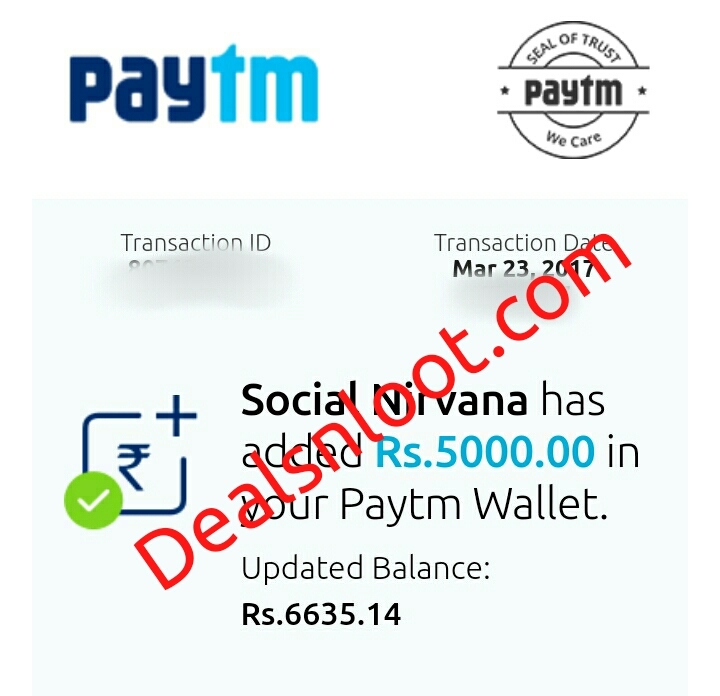 We Got Rs 5000 In Paytm Today.Previous UC News Love Fund Paytm Refer & Earn, Must Try This Time It’ Rs 5000. Install & Open It, Now Enter Your Refer Code in Moded Apk ! Clear Data of Moded Apk Every Time After Entering Refer Code ! UC News looks for trendy users! Invite friends to UC News and enter your code, get your exclusive Rs. 5,000 news fund! You can earn money for more than 1 time. How to earn your exclusive Rs. 5,000 News Fund ? Every participant has a chance to earn Rs. 5,000 News Fund. The participants can redeem Rs. 5,000 only when it is 100% collected. 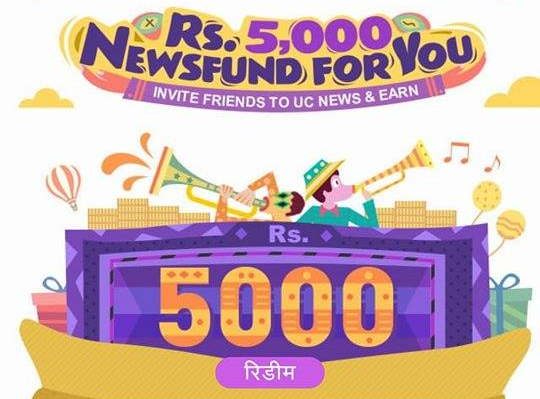 Download UC News to collect more money. To collect the remaining money, you can ask your friends to download UC News and enter your code. The more friends you invite, the faster you can win your Rs. 5,000 NewsFund. If people you have invited (people who have entered your code) invite new users, you can collect extra money. You can push them to invite people so that you can collect money faster. 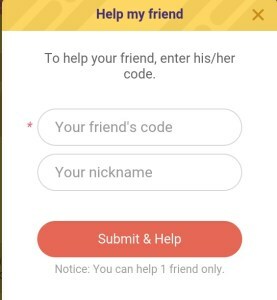 You can collect the money once you’ve helped a person by entering their code. You can only help one person. And this person you’ve helped, can’t help you back. In the same way, you can’t help the person who has offered help to you before. Because they have already got the money for helping you. When you have successfully collected Rs. 5,000, you can redeem the money and try again to collect another Rs. 5,000. Every user can collect 3 times in total. 0. The game will be over on March 31, 2018, 23:59:59 (IST). When all the prizes are sent out, the game will be over as well. You can check how many prizes are left on the homepage. 1. The prize will only be delivered to those who have collected 100% Rs. 5,000 NewsFund before the game is over. If your Rs. 5,000 is not 100% collected when the game is over, the money you collected will not be delivered to you as a prize. 2. The total number of prizes is limited. participants who collect 100% money will win the prize on a first-come-first-serve basis. Kindly help me out, please. Plz help me to win this now im in situation to need some money. please help me I am almost there to complete my referals.I need only 2700 more.I will be very thankful to you.